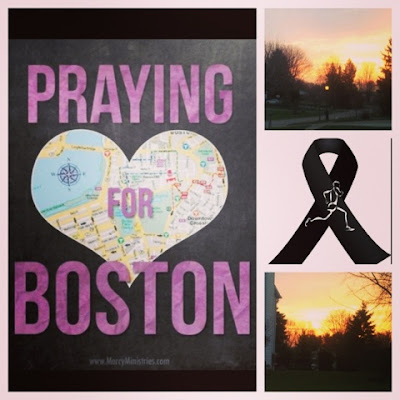 On my run this morning there was a beautiful sunrise over our little town in Ohio, and I couldn't help but think and pray for those who lost their lives, and the families of those affected. The sunrise reminded me that everyday is a new one and a new chance for God to show us the true wonders and GOOD things in this world. THAT is what we must remind our kids of. The good things and the good people. Mr. Rogers says it best. 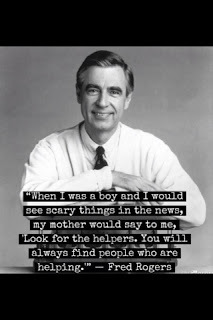 All of those who are flocking to help and assist those in need, we recognize them. In times like these, we are reminded how resilient and united we Americans are. Let's remember that, not the terrible people who committed this act.